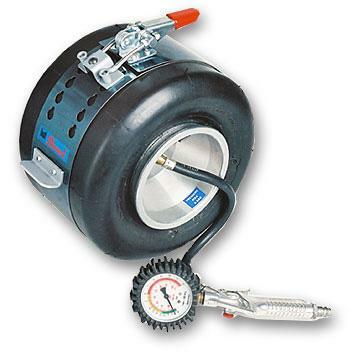 It is a small and convenient tool that is used for mounting and dismounting tires. It is 18 inches long, 5 inches wide and 3 inches tall. At only 5 pounds it is lightweight and portable. 117mm wheel adapter included. 80mm wide adjustable strap prevents tires from stretching while popping the bead. 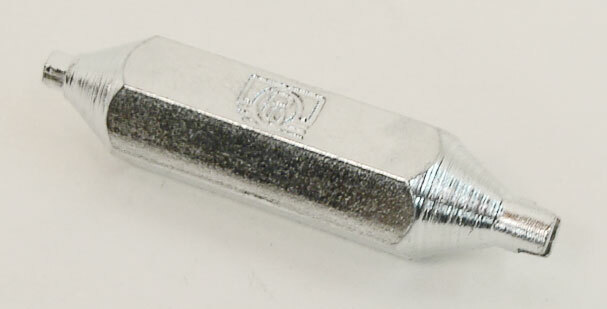 Fits 230-300mm (9 to 11-3/4") overall diameter. Replacement plastic guides for FTP tire tool. 2 included. Perfect for measuring tire circumference (roll-out). 1/4" x 6' Pee Wee® Pocket Tape, Hi-Viz® Orange Case. High strength Hi-Viz® orange case, Yellow clad blade, 1/4"/6mm wide blade is flexible; bold graduations on yellow background. Another gem for the tool box! Used to pull valve stems through the valve stem hole and remove the valve core. Extremely easy to use!